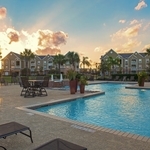 Listed among the highest-rated apartments in Corpus Christi, Texas, Camden South Bay is a gated community featuring spacious one, two and three bedroom apartment homes. 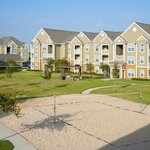 Our pet-friendly apartments are centrally located off Ennis Joslin Rd and SH 358. 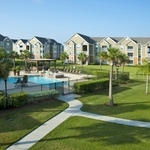 You’ll love living close to La Palmera Mall, Texas A&M Corpus Christi, S. Padre Island Drive and the Naval Air Station. 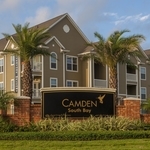 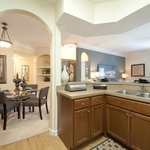 At Camden South Bay, you will find a true sense of community that’s peaceful and relaxing. 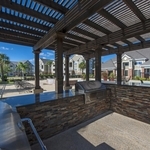 Grill with your friends in one of the outdoor dining areas, get in shape in the 24-hour fitness center, or just unwind in the resort-style pool. 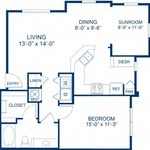 Need to get some work done? 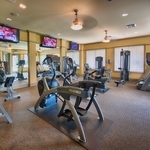 Enjoy our business center complete with printer and workspace, and then treat yourself to a gourmet coffee and a game of pool in the social lounge. 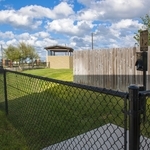 We even have a private playroom for the kids, and a one-of-a-kind Dog Park. 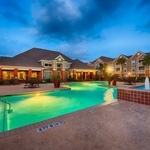 Your pets will love it here, and so will you! 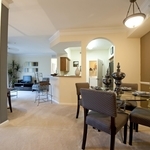 Each Bay Area apartment home is designed for luxury living with spacious floor plans, gourmet kitchens with pantries, huge walk-in closets and garden tubs. 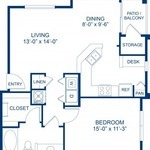 Enjoy the convenience of having a washer and dryer inside your apartment, as well as at-your-door-trash pick-up, and online rent payments and maintenance requests. 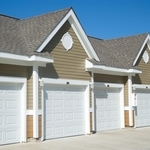 Garages, boat parking, storage units and covered parking are also available.